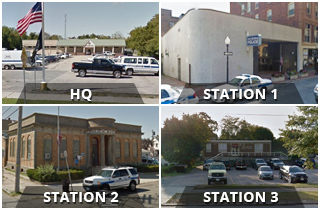 On June 13, 2010, officers from the New Bedford Police Department were dispatched to an armed robbery. The assailant robbed a convenience store while holding the clerk at gunpoint. Over the next several days, New Bedford Police were sent to similar robberies. Dartmouth Police were also investigating an armed robbery in their town. Detectives later identified Kerry M. CASTELLO as the primary suspect in all the robberies. 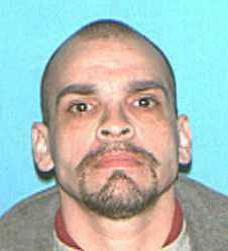 On June 28, 2010 New Bedford Police Detectives attempted to arrest Castello in his vehicle, he rammed a cruiser and fled. In no small part because of the efforts of Detective Al Silva, who is also a Task Force Officer with and our liaison to the US Marshals, Kerry Castello was arrested at about 6:00 AM on 05/21/11 by the US Marshals along with troopers from the New York State Police. Castello was located and arrested in Liberty, New York. Located at this house was the black Ford Ranger pickup used was when he fled New Bedford and several BB pistols that resemble a .380, a 9mm and a starter pistol were found in his possession. Castello was taken to the NY State Police barracks in Sullivan County where he was booked and charged as a fugitive from justice. His rendition proceedings are underway. On May 31, 2011 Kerry committed suicide in his cell at the Sullivan County Jail in New York.